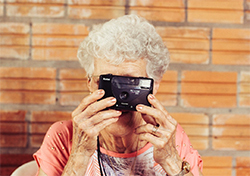 As the older adult population in Europe is growing steadily, especially those living in rural areas, the issue of loneliness and social isolation has become of significant concern. On April 24th, 2018 another co-creation event took place at the 12th Open Care Centre of the Municipality of Thessaloniki. The aim of the two-hour event was to demonstrate the results from adjusting the mobile application interface according to the technical decisions that were taken from the last KAPI co-creation event. 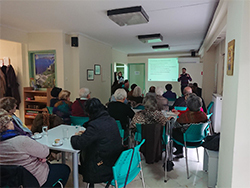 A co-creation event took place at the 12th Open Care Centre of the Municipality of Thessaloniki on March 2nd, 2018. The Réseau Wallon de Développement Rural dedicated 2 intensive days (17-18 May 2018) to innovative approaches and methodologies, during which two European projects were presented by AGE Platform Europe. Tourinnes-La-Grosse, a village in the middle of the countryside of Wallonia (Belgium) has been at the center of vivid exchanges of perspectives around innovation and how to stimulate innovation in rural areas. 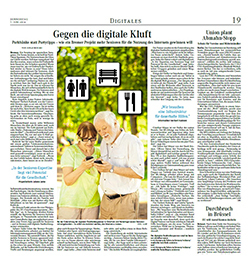 After its 2017 inaugural meeting in Vienna, this was the second workshop of the Socio-gerontechnology network that explored themes at the intersection of STS and Age Studies. The aims of the meeting were to bring together scholars working in this and related areas, discuss recent developments in the field, and further build the network. 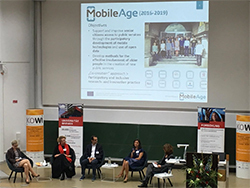 On Wednesday 20th of June 2018, Juliane Jarke from ifib had the opportunity to share knowledge and experience acquired through her work within Mobile Age project with about 300 people attending the Annual Meeting of the “European Liaison Office of the German Research Organisations”. Bremen. A Sunday in Zaragoza, Spain. The sun is burning, it's hot in the north-East of Spain. For seniors, the heat can become a hurdle: Should we go outside? Should we wait for the bus, if there were no tree that provide shade? When do we need to leave to get home before nightfall? On the occasion of the Civil Society Days hosted by the European Economic and Social Committee, AGE Platform Europe co-organized with the European Disability Forum a workshop on empowerment initiatives to overcome the digital divide.